A BLISTERING DAY IN THE SUN WITH 2 WONDERFUL PEOPLE!!!! What made you choose Rivington Barn for your wedding? 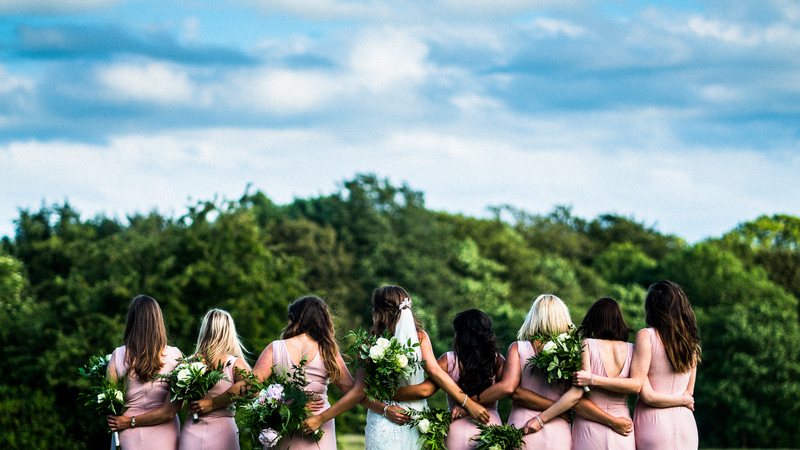 We chose Rivington Barn for a few reasons…. it’s a beautiful venue, its close to home and we spent a lot of time there as a family so it holds a lot of special memories for us. It’s the only wedding venue we considered after we got engaged and we knew that my dad would have been over the moon that we were getting married there and that was really important to us! How did Alex propose (gushy details allowed)? Alex was very romantic, he whisked me off the Paris just before Christmas. I had no idea he was going to pop the question! I should have known really as he was being very soppy and romantic telling me how much he loved me! We went up the Eiffel Tower just as it was going dark, I moaned all the way up there as it was so cold! We spent about two minutes at the viewing point and I was like right let’s go down now it’s too cold so he didn’t manage to do it up there as planned! Instead he did it alongside the canal, I was taking some photos and videos of the tower and turned round to him getting down on one knee. It was totally unexpected, I didn’t think he had it in him! My favourite parts of the wedding were getting ready in the morning with the bridal party, it got a bit hectic at one point as there were so many of us but it was just so nice and I felt really relaxed! Another highlight for me was walking into the wedding breakfast and everyone clapping and cheering! It just felt surreal that it was our wedding! Alex’s favourite part of the wedding was the evening do! We never left the dance floor! We played a lot of songs that reminded us of our youth and we had a foam machine for the last hour, everyone wearing shower caps jumping around the dance floor! It was definitely a night to remember! My one piece of advice is to enjoy the planning and work together! We got a little stressed at times but we still very much enjoyed planning it and would do it again in a heartbeat!